Paul and I are primarily Lake District wedding photographers. 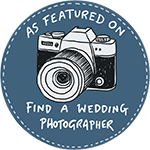 We do photograph weddings in Sheffield throughout the year though as well as photographing weddings in Yorkshire and the rest of Cumbria. Alaina and Ashley were married in midst of the beautiful Autumn weather last year. Alaina looked amazing in her wedding gown – absolutely stunning! The wedding took place in church nearby their home in Dronfield. After a good coating of confetti they headed off to Whirlowbrook Hall in Sheffield for their reception. The gardens in Whirlowbrook look amazing all year round – particularly in Autumn though with the gorgeous reds and oranges on the trees. The sun was shining long enough for some photos in the grounds before everyone headed indoors for food! In the evening there was a chance for some fun with sparklers too – love a good sparkler photo – I’m a sucker for bonfire night! Such a lovely couple – we wish you both much love and happiness for the future!